Karen Ghrawi was crowned tonight as Miss Lebanon 2013. 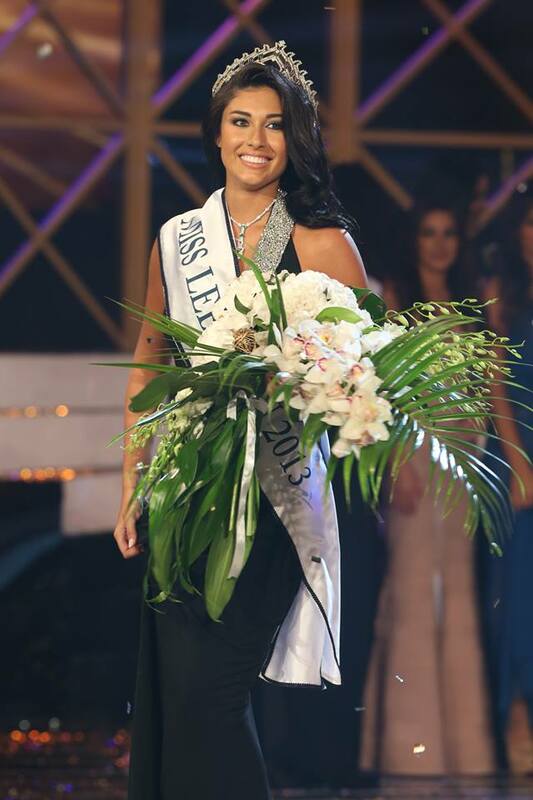 The new Miss Lebanon is 22 year old Interior Design student is 175 cm tall & weighs 58 kgs. The last year Miss Lebanon Rina Chibany handed the crown to Miss Lebanon 2013 Karen Ghrawi. This year 15 Lebanese beauty queens competed for this Miss Lebanon 2013 crown and it was a fierce competition and a great event held at Biel. The 10 finalists included Josette Marie Chehade, Wendy Maroun, Jose Rita Azize, Ella Ijbeh, Karen Ghrawi, Nay Riachy, Christina Dagher, Luciana Younes, Melissa Rahme, and Dania Kobeissy. The pageant, which was aired on LBC International and LDC was hosted by the gorgeous news presenter Dima Sadek, was held at Biel and attended bya number of celebrities and public figures in Lebanon. Assi El Hillani was the guest of honor during the pageant show who sang a number of his hits songs including “2ellon innak Lebanani”, “Maw3ood”, and several other songs, as well as the phenomenal Anthony Touma. The judging committee included Mr. Zuhair Mrad, the international designer, Mr. Marcel Ghanem, Kalam El Nas presenter and renowned Media figure, Ms. Joelee Behlok, former Miss Lebanon, Mr. Nayla Touieni, Lebanese MP, Mr. Alain Aoun, Lebanese MP, Mr. Zalfa Boueiz, President of Zouk Mikael International Festival, Mr. Michel Habis, Advisor To The Ministers Of Tourism and Culture, Ms. Mona Fares, Ms. May Arida, designated among the top 100 European and Arab Women managers by the EPAM Media group, Women Chief Executive Officers of Belgium, and BE press. The newly crowned Miss Lebanon received a $300,000 house in Beit Misk,$53,000 Audi Q3, a $50,000 jewelry gift from Paolo Bongia, $20,000 voucher from Aïshti and a lot more. Quadruple Whammy BLVD 44 This Week!